You may well be familiar with the 80/20 rule that’s often bandied about in business circles which states that, for many events, roughly 80% of the effects come from 20% of the causes, but can this principle apply to our daily conflict between “doing” and just “being”? 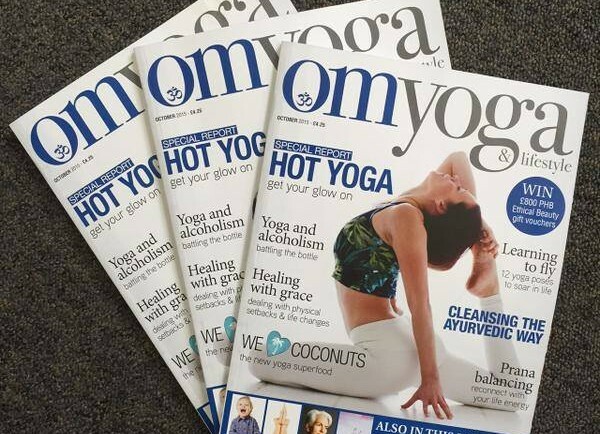 Here are my thoughts, in an article first published by Om Yoga Magazine in their October 2015 issue. During my years in the corporate world, the 80/20 rule (aka Pareto’s law) was often used to determine where we should focus our efforts and, sure enough, it showed that 80% of our sales would come from 20% of our clients. We can apply this to so many other areas of our lives too. For example, of all the clothes in your wardrobe, you’re most likely to wear 20% of them, 80% of the time (the next time you put on a change of clothes, do a quick calculation – it really won’t be far off!). So, let me just backtrack a few weeks. I found myself chasing my tail, juggling the proverbial balls in the air and essentially exhausting myself trying to “do” too many things at once. Fortunately, having spent the last few years learning how to avoid the curse of multi-tasking, I was able to read the warning signs just in time. It was time for a brain break! I gave myself permission to have a day away from all the “doing” and, instead, spent it “being”, walking along the beach, away from my desk and all my digital devices. Just what my soul was asking for. During this frantic “doing” phase (they come and go) it occurred to me, what if we applied Pareto’s law to our own personal growth strategy? What if we just spent 20% of our time visioning (aka planning and creating) and 80% allowing (aka surrendering) on the basis that the 20% visioning (causes) will deliver 80% (effects) of what we want to create anyway! I’m not suggesting that we simply work 2 hours a day and laze around the other 8, but I am suggesting that whenever we find ourselves going around in circles on the same old stuff (remember, our thoughts create our reality – negative in, negative out! ), unable to make a decision or agonising over the outcome, then, honestly, just let it go. You’ve done your planning, all the ducks are in a row, don’t then spend the next 80% of your time trying to figure out the “what ifs”. Move on to the next task or project (or simply take a break!) and keep applying the same principle. You will soon realise that easing yourself into “allowing” or “letting go” 80% of the time, will preserve your energy and prevent your body from carrying a load of tension it hasn’t asked for; you’ll sleep better and, a real bonus, the anxiety-induced sugar cravings will be kept at bay! So, the next time you’re in visioning mode, great – see it through to its natural conclusion and then free up the other 80% you would have spent on it, letting go of the outcome and enjoying the emotional, spiritual and physical freedom you’ve just allowed yourself in the process!